Facebook's new 'Like' buttons explained, in plain English. Like Buttons are now popping up all over the web, not just on Facebook. This blog explains how they work!" 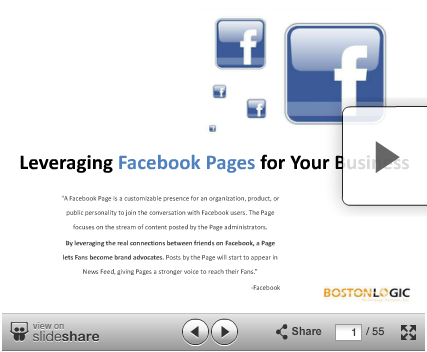 A presentation on Leveraging Facebook for your business and utilizing the most recent Privacy Setting changes on Facebook to protect your employees and encourage them to interact with your page.